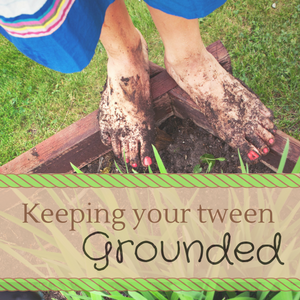 Welcome to Day #27 of the Grounded Series! This in between stage is both expected and unpredictable. It can be breath-taking yet it sometimes leaves you gasping for air. One minute she snuggles in close and the next she takes off running towards the water’s edge. One moment she makes eye contact and the other she avoids my corrective gaze. This in between age is both exhilarating and terrifying. It can be fragrant and other times it is just downright stinky. One minute she plans to buy a horse and then the next she whispers that a boy is cute. One morning she remembers deodorant and the next day she can’t find her shoes. As the tide rolls in she runs toward the depths. I wade in slowly, safely clinging to the shore; familiar, level ground. She laughs easily and her eyes shine with anticipation as she willingly faces the waves. I call her back closer in order to avoid the uncertainty of what may surface. As her legs lengthen and her curves begin she finds her own gait as she ventures out further. I feel the tug on my heartstrings that I must let out the slack or watch the cord break. She gets her feet wet as she splashes through this terrain, searching for treasure. I remember my water-splashing days and I feel stuck between carefree and fear. As the minutes race by she drinks it in, ready to fly but not ready to leave. I am faced with the reality of this transition, from little girl to young lady, in a blink. She is finding her voice, improving her style and looking back to see if we approve. There is no going back to what once was, but what is before us is not yet fully revealed. As she longs to linger I call her back, reminding her that there will be other times to swim. My job is not done but it is shifting as we walk this stretch together. There is wonder waiting. She is becoming. There is a stirring for more in her core. I can feel it. I watch. It’s breathtaking in a scary and sacred way; at the same time. 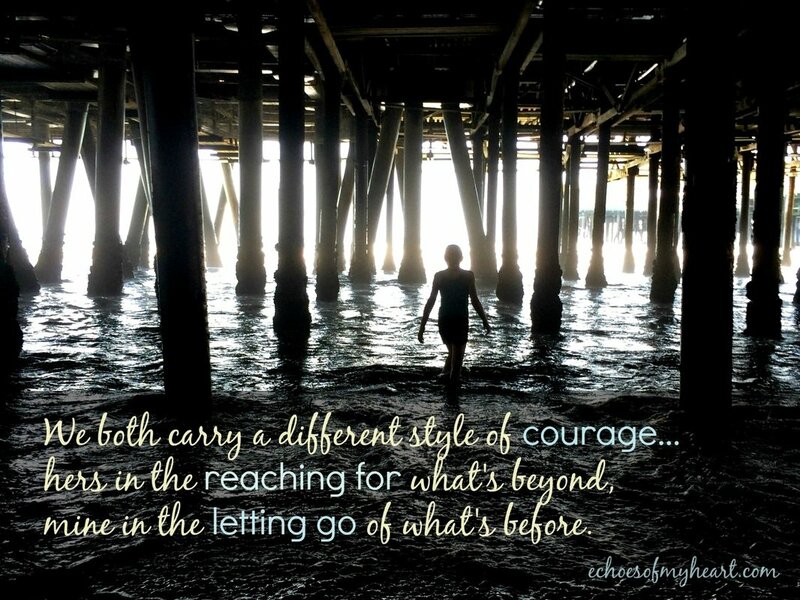 We both carry a different style of courage…hers in the reaching for what’s beyond, mine in the letting go of what’s before. We laugh and learn as we get our feet wet. We stumble and fumble as we meet the coming tide. This time came quicker than my heart was prepared for—this transition into “becoming”.